"Thank you Rachel for a fabulous back course. You guided us gently week by week, helping us get in touch with our bodies. 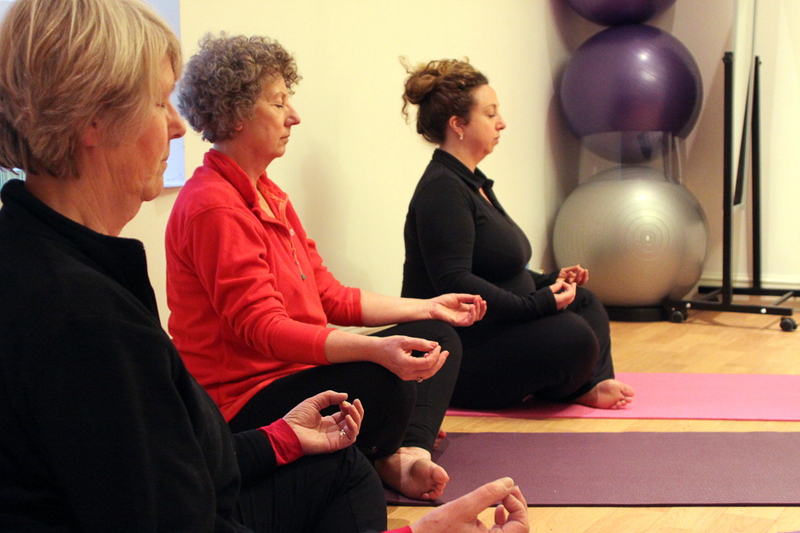 We learnt how areas of tightness can be released to ease pain and increase range of movement. Yoga for Backs has been a life-changer. Thank you!" I started my yoga journey 30 years ago at university, and I can honestly say it has changed my life for the better. As a yoga teacher, I specialise in therapeutic yoga: using my medical, osteopathic and rehabilitation knowledge to make classes inclusive. I teach gentle yoga and meditation to address muscle and joint and balance issues, as well as helping many other general health problems. This is perfect for those who are older, have had injuries or health issues who might find it difficult to access a conventional class. 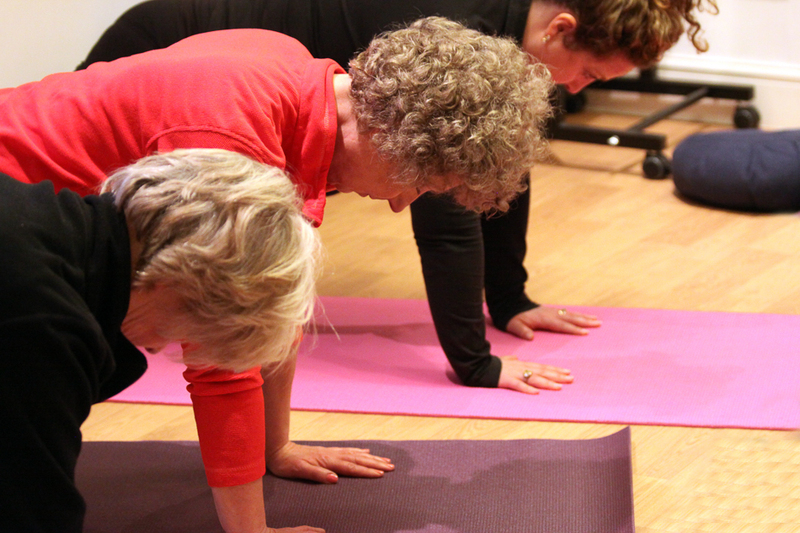 I am also the only osteopath in the UK offering the brilliant 12-week Yoga for Healthy Lower Backs programme and have developed a Yoga for Stress and Anxiety course that has been very popular. See www.crichstandard.org for details of my free beginners' yoga workshops for sleep, men, stress and anxiety and backs on Wed 20th March and April 3rd. I have taught workshops on spinal health, anatomy and Therapeutic Yoga. My articles have featured in Yoga and Health and Om magazines. The physical postures (asanas) promote youthful suppleness, strength and openness, stretching and releasing tight muscles and joints, promoting self-awareness, balance and poise. The benefits of learning to relax are huge, and help normalise the inner workings of the body, promoting concentration and focus, mental and emotional wellbeing, as well as better breathing, lower blood pressure and heart rate. "To make the impossible possible, the possible easy, and the easy elegant." Anxiety, alcoholism, ADHD, cancer, COPD, Congestive heart failure, depression, diabetes, eating disorders, epilepsy, fibromyalgia, heart disease, high blood pressure, infertility, insomnia, IBS, menopausal symptoms, migraine and tension headaches, Multiple Sclerosis, neuroses (phobias), OCD, osteoarthritis, osteoporosis, chronic pain, post-heart attack rehabilitation, post-operative recovery, pregnancy, rheumatoid arthritis, scoliosis and urinary stress incontinence! Yoga classes are available in Crich at the Tramway museum and Glebe centre. 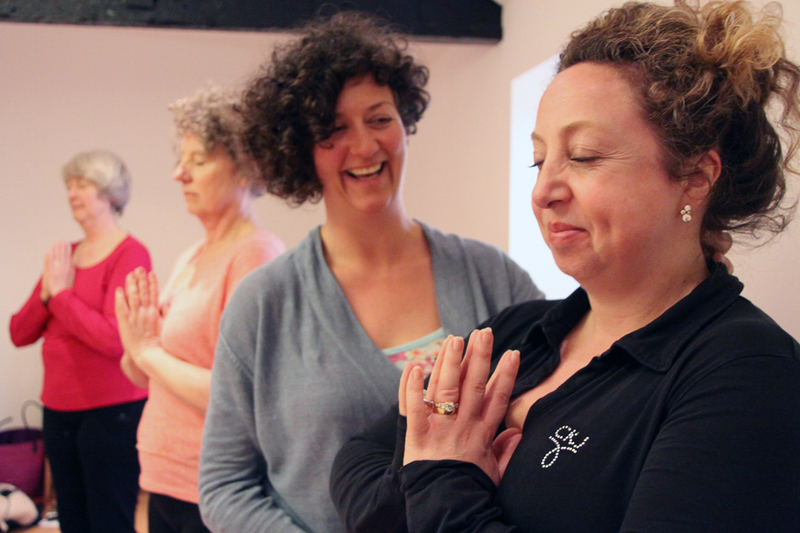 If you're interested in 1:2:1 Yoga, I offer a special 3 hour long classes for £150, saving £40. Contact me on 07877 320723 to book a space/session. If you are tired of back ache and not really getting the long term results and relief you deserve, this is the course for you. Many treatments can give temporary improvements, but lasting back health is often more complex - just like you - and really needs some behaviour change. This might be learning better movements and postural awareness; discovering ways to reduce anxiety and overwhelm; learning to breathe better; looking at habits that might not serving you well and may actually be causing the issue in the first place. This is a unique, highly-enjoyable 12-week, scientifically-validated yoga course aimed at people with a history of back ache. What we term "chronic". It's a chance to learn, in a small, friendly group, uniquely with someone who is not only an experienced yoga teacher, but also a professional back specialist. Please contact Rachel for more details and to be put on a mailing list for future classes. Contact Rachel on 07877 320723. See www.yogaforbacks.co.uk for details of the research into yoga for chronic low back pain.